Don't crack up! If event planning has you feeling oppressed, find a measure of liberty in the Pennsylvania Event Kit. 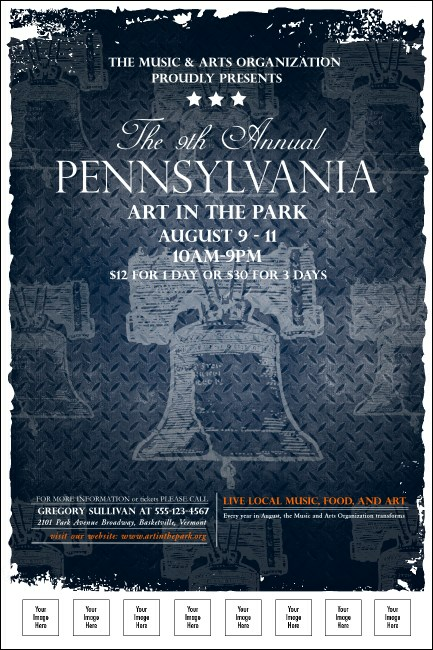 For any event in the State of Independence, feel free to advertise with this spectacular Pennsylvania Flyer, with space to upload six sponsor logos or other image right from your hard drive.